The Bankruptcy (Amendment) Act 2015 reduced the normal duration of bankruptcy from three years to one year. Up until December 2013 the standard period had been twelve years - so the reduction was a fundamental change and it was seen as a very "pro-debtor" reform of law, which was also aimed at reducing "bankruptcy tourism". An application can be made to the Court by the Official Assignee of the bankrupt or a creditor of the bankrupt prior to the discharge of the bankrupt, under section 85A of the Bankruptcy Act 1988 (the Act) on certain grounds. The bankrupt has hidden or failed to disclose assets which could be realised for the benefit of creditors. The bankrupt has failed to cooperate with the Official Assignee in the realisation of the assets of the bankrupt. The Court has the power to extend the term of bankruptcy for up to eight years or fifteen years if it views the actions of the bankrupt as particularly serious. This article discusses some recent cases in which the Court decided to extend the term of the bankruptcy. In a recent decision, Christopher D (Official Assignee in Bankruptcy) v Breda Webster, the Official Assignee applied to the Court to have a period of bankruptcy extended on the ground that the bankrupt had failed to disclose assets of €8,000 which comprised loans to the bankrupt's children. Ms Webster was adjudicated a bankrupt in April 2016. In the months prior to this adjudication, Ms Webster made a number of withdrawals from her accounts. In September 2015, she withdrew €3,000 to purchase a car for her son. In December 2015, she withdrew €12,703.50, €5,000 of which was given to her son as a loan (or possibly a gift) and the rest used to fund a trip to New Zealand for herself, her daughter and her granddaughter so that they could attend Ms Webster's son's wedding. Justice Costello found that the €3,000 used to purchase a car for Ms Webster's son and the €5,000 loan give to Ms Webster's other son should have been disclosed to the Official Assignee for the Official Assignee to assess whether these assets could have been realised for the benefit of her creditors. In respect of the funding of the trip to New Zealand, the Court found that this was not an asset capable of being recovered for the benefit of Ms Webster's creditors. Therefore, in this case, two assets with a maximum value of €8,000 which should have been disclosed were not. Justice Costello considered the case of Killally, a bankrupt v the Official Assignee  IESC 76, where Clarke J stated: "It is clear that grave breaches of the statutory obligations by bankrupts will attract the full period of extension and that lesser failures will attract a lesser sanction". Pursuant to the provisions of Section 85A of the Act, Justice Costello extended the period of Ms Webster's bankruptcy for nine months. The above case can be contrasted with that of Gaynor, a bankrupt, where the court extended Mr Gaynor's bankruptcy for a period of five years. It was found that Mr Gaynor "deliberately hindered" the bankruptcy process by withdrawing nearly €50,000 from his bank account after he was adjudicated a bankrupt. The Court was satisfied that there was a total failure on the part of Mr Gaynor to cooperate in the bankruptcy process. The Court was satisfied that Mr Gaynor had hidden assets and income which could have been realised for the benefit of creditors. Justice Costello found that the conduct of Mr Gaynor during his bankruptcy challenged the integrity of the bankruptcy process, and that sanctions were required for breaching the process and was satisfied that the period of bankruptcy be extended for five years. In the case of McFeely, a bankrupt, the Court extended Mr McFeely's bankruptcy by a period of eight years when the Court found that Mr McFeely refused to give the Official Assignee his correct address and failed to disclose his interest in seven properties and five industrial units. The Court stated in this case that the bankrupt knowingly and deliberately, and on a persistent basis, breached his statutory obligations. Mr McFeely subsequently appealed the High Court's decision. The Court of Appeal saw no reason to depart from the High Court's conclusions. It is clear that while the standard period of bankruptcy is now just one year, the bankrupt has an obligation to cooperate fully with the Official Assignee and disclose all assets to the Official Assignee or risk the period of bankruptcy being extended for a significant period of time. 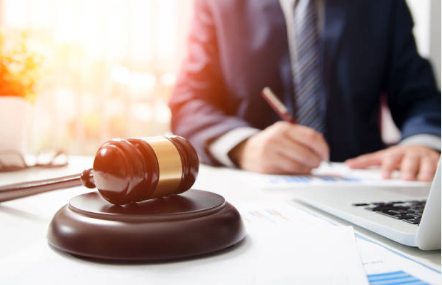 Section 85A of the Act is a welcome piece of law from a creditor's perspective given that it encourages the bankrupt to disclose all assets to the Official Assignee so that the maximum recovery can be made for the benefit of creditors. The Section certainly encourages transparency and full cooperation by bankrupts.